God loves every person and hates every sin. That is the basis and heart behind this series of articles being written. Prayerfully through the truth of God’s Word unsaved people will accept Christ as Savior and Christians will come to know Christ better. I love you all! First of all let me say I love and respect President Barack Obama. He is a man of great intelligence and integrity. The Bible even calls us to honor government officials (Romans 13:1). This message is not an attack on him or anyone else, but simply a proclamation of Biblical truth. As much as I love and respect my President I have also pledged my life to Christ. We spend hours engrossed in mainstream media; (TV, social media, music, etc.) most of which is against God. Of course this is not just an issue with the President or just Black people. This was just the example I chose to highlight. Mainstream media is replete with individuals who openly deny the true teachings of The Lord. And too many of us Christians just take it. We hold fast to the teachings of Oprah and Lady Gaga or whoever else has the spotlight. We will get offended when someone disagrees with our favorite star, yet will not care when we hear people openly denying the truth of God’s Word; The Bible. So what am I saying? That we should turn our backs on those who disagree with the Bible? Not necessarily, but we do need to know when to support and when not to support. In this particular case I love and respect my President, however I do not support that particular decision to support gay marriage because it contradicts God. 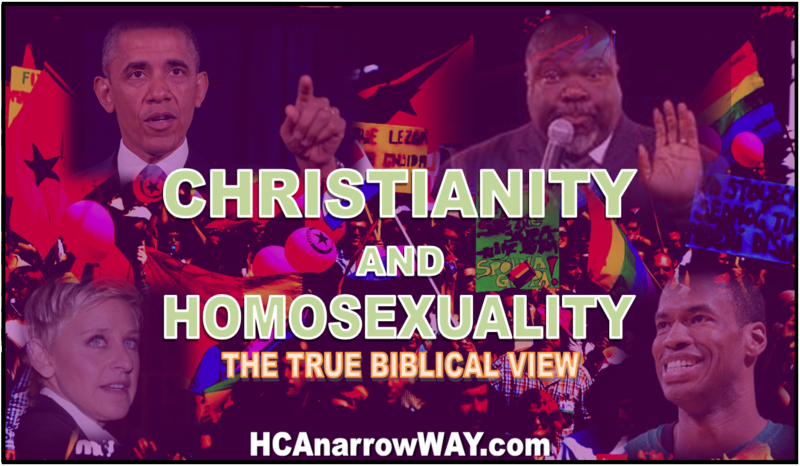 As Christians, we need to know when to draw the line with the people and causes we support! What is that line? It is when anyone or anything contradicts God and His Word. God calls us to be living sacrifices (Romans 12:1). All that we are should be for His glory. The way we live, the words we speak, and the way we work should all be to give God praise. God calls us to work like we are working for Him (Ephesians 6:5). We actually do work for the Lord because our occupations ultimately come from Him. Therefore no one is to separate their job, or any other aspect of life, from God; especially the leader of this country. We are called to represent God and His ways in all that we do. God calls the Christian to be totally led by His Spirit. Any true Bible believing Christian that believes God led the President to openly support a grave defiance to His Word is sadly mistaken. Our occupation along with all that we are should be submitted to God. So who is your Lord; Jesus Christ or some other person?